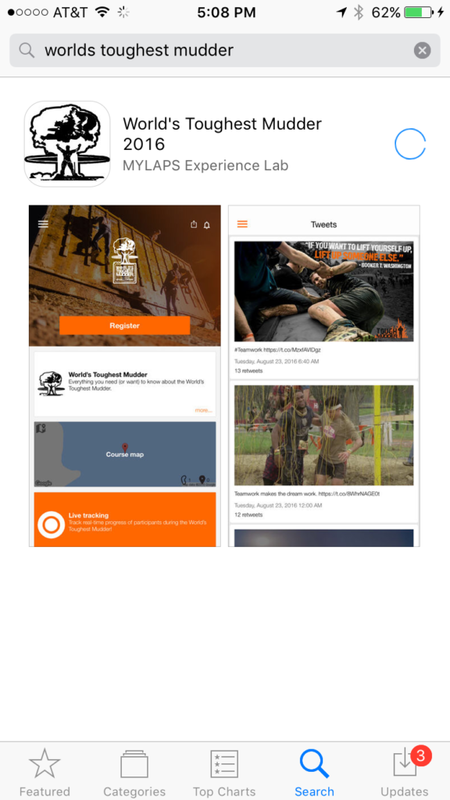 Tough Mudder officially unveiled the new mobile app for 2016 World's Toughest Mudder today. This new mobile app offers participants, crew, and loved ones a new way to track the 24-hour race. The app features live coverage, course map, and live tracking. As well as a viewing guide, event schedule, rules, and hall of fame. Changing the experience for anyone wanting to follow the race. 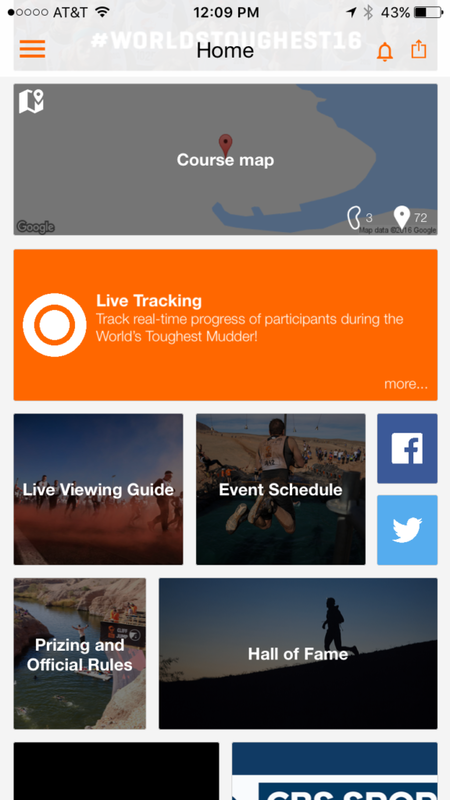 The mobile app was first introduced earlier this week in an email to World's Toughest Mudder participants. Some have already found and downloaded the app from both the Google Play and Apple App Store. While many participants have been poking around the new app, and testing the features. Today is the official launch of the app. Mud Run Guide tested the app this morning. 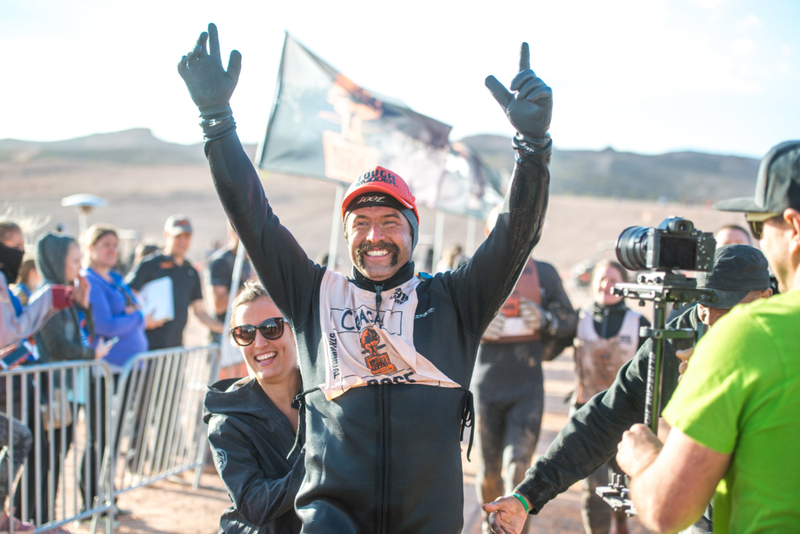 While testing it we were able to check out features like the leaderboard, twitter updates, and Facebook updates from Tough Mudder HQ. Also embedded in the app are links to sponsors. This includes a section to donate to Team Rubicon, the official charity partner of Tough Mudder. However, the most exciting part of the app is the Live tracking. Which offers what looks to be a GPS tracking system for athletes and gives participants a way to share their progress on Facebook during the race. Participants will have to wait until race day to see the full technology. Currently, the app is available for free on both the Apple App Store and the Google Play store. Also be sure to follow all of the coverage before during and after from Mud Run Guide who will have a team reporting on the ground with coverage on the Website, Facebook, Twitter, and Instagram. Follow all the action here.